Just picked up this fantasticlly ghetto 1998 Superhawk a few weeks ago. A glorious garage paint job by the prior owner. Sprockets of an unknown configuration. (Haven't had a chance to check them). Just looking forward to learning as much as possible and enjoying the bike. 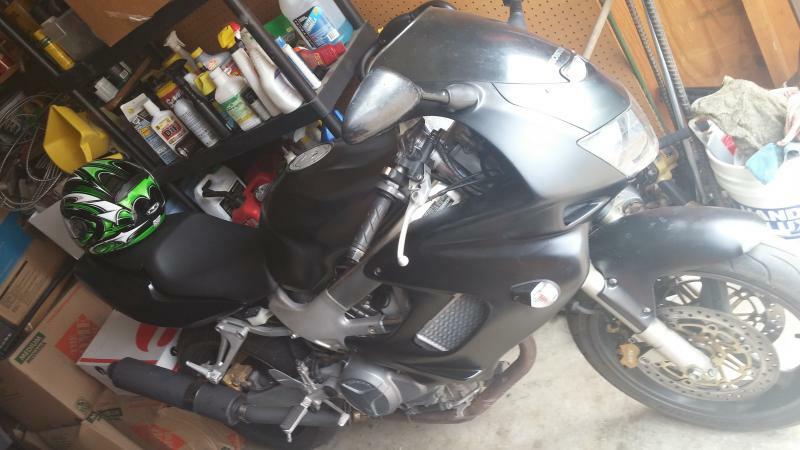 Its going to get the busted up fairings removed and some sort of hybrid fighter setup on it as soon as i get it back from the shop. Needed pads front and rear, fork rebuild, steer bearings and a tune up. Picked it up for $1500 and a home audio sub and the mechanics say its one of the best running bikes they touched from the year 1998 in a long time lol. Welcome bewsted. One of the joys of owning a Hawk is letting others admire and take a look at it. You'll always get questions, and be able to keep up with current bikes made today. Enjoy! the mechanics say its one of the best running bikes they touched from the year 1998 in a long time lol. Good to hear. My guess is that the PO(s) didn't **** with the carbs. Something to remember moving forward with any mods and such. That's a lot of bike for $1500. And welcome to the site. The PO i got it from had to fix the homemade jet ket lol. So far so good. I had to remove my busted fairings for the time being. Here she be. Thinking of getting some paint and blacking out the rediators and maybe trying to plastidip whats left. You are off to a good start. 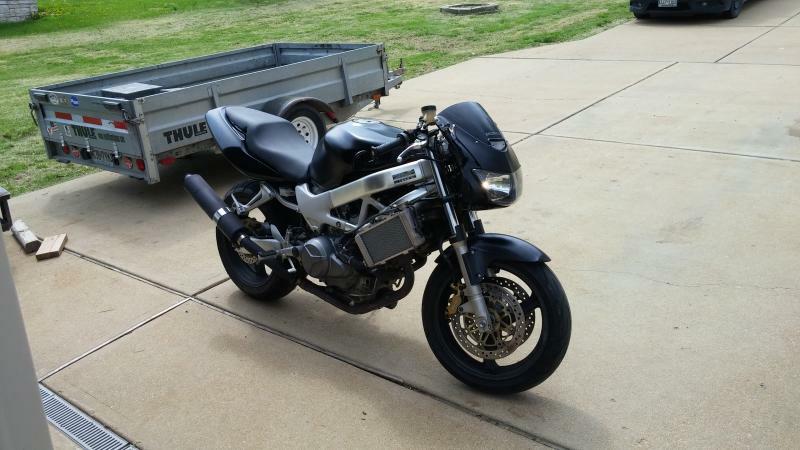 Can't tell from the photos how bad the fairings are, but this forum is a good place to start if you are searching for replacements. You can also buy new from Partzilla. If repairable, why not consider repainting instead of plasti-dip. Paint can be purchased from Colorrite, and you will be happy with the outcome. Check my previous thread on how to do this, if you want to go that route. Enjoy your Hawk! They were fairly tore up. I am finally coming into my comfort level with its power. Such an amazing torque monster.